Sometimes I wonder about the phenomenon of fake educational certificates like diplomas and degrees and its impact on the society. What if it’s a doctorate degree (Ph.D.)? The answer is: Nothing. The person with such a fake degree will be awarded with the title of doctor and he/she will hang the certificate in a glass frame in his/her office or living room and brag about it. The problem arises when such an individual fills in a decision-making position at some educational institution or at the Ministry of Education. It is something to worry about, as it affects the society. If employed with the government sector, such individuals contribute to the slowing down of the country’s development. And this is what we are currently witnessing in the Kingdom. A large number of people with fake educational certificates are working at key positions in both the public and the private sectors. Ironically, it is not secret to anyone and such people are known for their wrongdoing. What is more distressing is the fact that even the so-called institutions, which award these fake certificates or degrees are also doing brisk business without hiding the true nature of their operations. People responsible for authenticating certificates and degrees are fully aware of the whereabouts of such institutions. One of them is located in London and its openly “cooperates” with some elements in the education sector to review the so-called research papers to add some authenticity and of course it is not free of charge. In one raid conducted by the Saudi authorities seized hundreds of fake master’s and doctorate degrees, which were ready for sale. But the worrisome part of the report was the authorities late learned that the man in-charge of the scheme had already sold about 16,000 fake educational documents for price as high as SR50,000 for each doctorate degree. Now, who are these fake certificate holders, where they are and what are the positions they are holding. It is important to know who the holders of the fake degrees are because this is the worst that can happen to the education system. During the past two decades, holders of these fake degrees were and still are one of the main reasons for the slow growth of the education system. At the end of the day, it is not only our students who pay the price but the whole society. And students that are taught by a fake degree holder or employees who work under fake degree holders know how does thing go under such people. They see it in his behavior, his presentations or simply by knowing the university from which he “received” his/her degree. Also, fake certificate holders are known to be easily lost in any intelligent conversations. You can sense their lack of faith in themselves because they lack the genuine self-confidence. Just few weeks ago, Saudi Arabia had two education ministries. One for education from kindergarten to high school called the Ministry of Education and the other was called the Ministry of Higher Education in-charge of any university or institution after high school. However, following a royal decree these two ministries have been merged to be overseen by a single management. This is a good decision for the future of the Saudi job market. 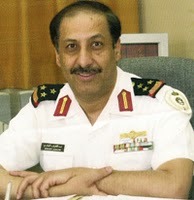 But, the first step for the new and dynamic Minister of Education Azzam Al-Dakhil is to hire the right people for the right job and rid the ministry and the universities of the fake degrees holders and help other government departments and the private sector to identify fake degree holders. They are not only hurting their students or employees under them, they are hurting and slowing down the development of the country. Fake degree is not a joke; it is a disaster. Written by Abdulateef Al‐Mulhim. Fake Degree is a Serious Matter reprinted with permission of Arab News and Abdulateef Al‐Mulhim.